To help meet this challenge, Daniel Rothenberg, who until recently served as a research assistant at the MIT Joint Program on the Science and Policy of Global Change and a PhD student and postdoctoral fellow in the Department of Earth, Atmospheric and Planetary Sciences, has developed concepts and software aimed at reducing the uncertainty in the magnitude of the indirect effect. 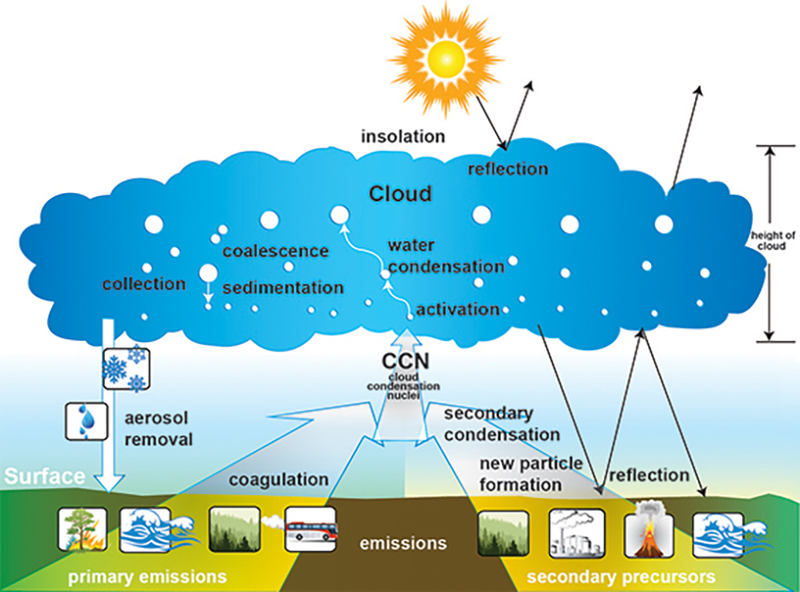 Key to achieving this goal is to more precisely represent aerosol activation, the process by which aerosols form water droplets in clouds, in climate models. During this process, individual aerosol particles becomes cloud droplets, the building blocks out of which clouds are formed. Just as dew condenses on grass and leaves on a cold morning, water vapor in the atmosphere condenses onto airborne particulates. Now, in a new study in the journal Atmospheric Chemistry and Physics, Rothenberg—in collaboration with his PhD advisor, Joint Program Senior Research Scientist Chien Wang, and Alexander Avramov of Emory University (a former postdoctoral associate at the MIT Center for Global Change Science)—advances a method that represents aerosol activation with far greater accuracy and computational efficiency than existing approaches.